Evening all, it’s been many years since I’ve been part of an owners club, but then again (due to family) it’s been many years since I’ve had a toy which I was so into as I am my bike! Passed my DAS 2 weeks ago, and already had my bike waiting for me tucked away in my garage. 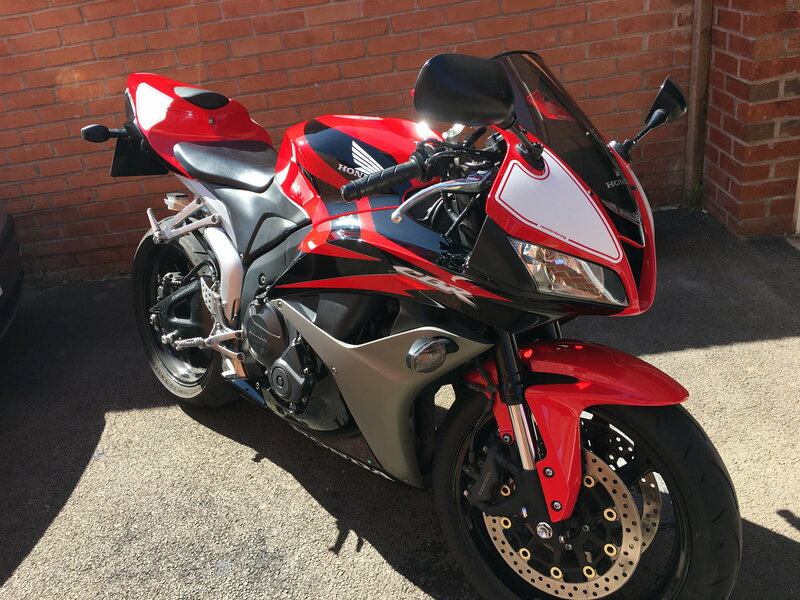 Go easy on me, SOME PEOPLE say a sports bike isn’t suitable for a beginner, but it’s a bike I’ve always wanted so after hearing advice from both sides, I decided to go for it. I bought me CBR600RR-7 a week before passing my test and I’ve put 400miles on it since (whoops!). Completely standard apart from a Scorpion can, I must say, I am absolutely hooked. No real plans to change anything yet, as you can imagine there’s not really any need to. I work for Pirelli Tyres so have a lot of people I can ask for help through work regarding bikes in general, but thought a more knowledgable group would be more beneficial when I get to know it better. Not really had much mechanical experience with cars, so other than basic things I’m running a bit blind at the moment! As CaBaRet says, do what the hell you want. Sounds like you're not a teenager and have got more than fresh air between your ears, so enjoy yourself. So I’ve got Jung’s to live for which seems to be keeping me relatively safe so far. Nice looking ride. There are a lot worse bike to start out on. The biggest mistake is to start out with a heavy bike, you did good.